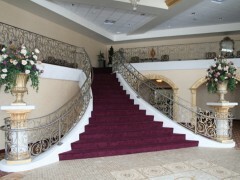 We offer a wide range of railing systems suited for all residential and commercial applications. Our railing systems can be designed to complement any architectural style. Whether you require a rather simple or very complex railing layout or design we can build it for you. We offer a wide range of custom aluminum railing systems suited for all residential and commercial applications. Our aluminum railing systems can be designed to complement any architectural style. 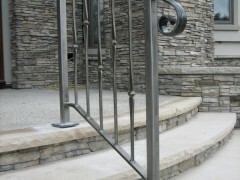 Imagine a beautiful new steel railing system for your entry steps, patio, balcony etc. 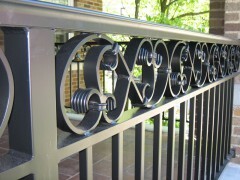 A steel railing system from Old Dutchman's Wrought Iron will add a lifetime of beauty and value to any property. Old Dutchman's Wrought Iron offers many custom interior railing systems suited for all residential and commercial applications. Our interior railing systems can be designed to complement any architectural style.